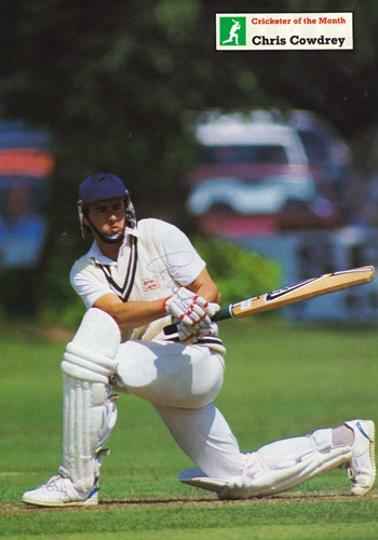 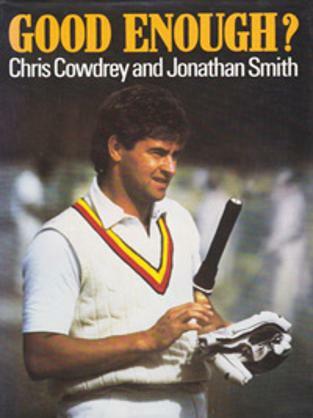 "Cricketer of the Month" poster. 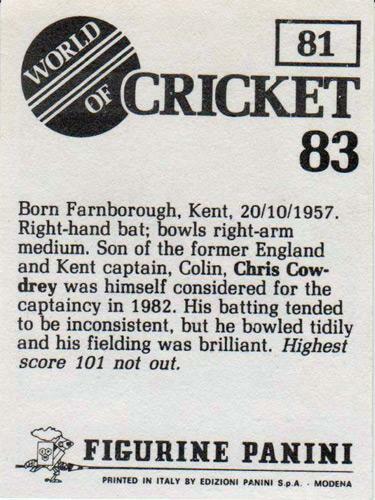 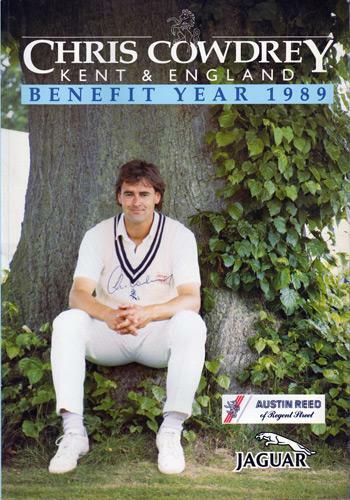 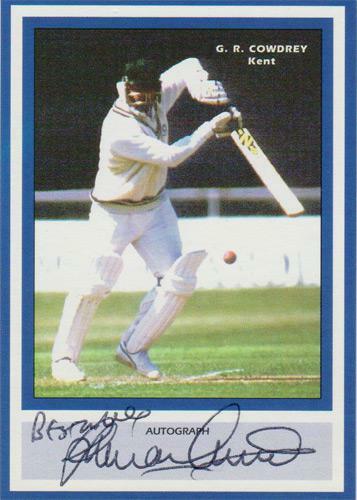 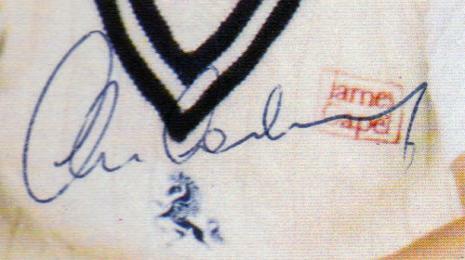 Signed 1989 Kent CCC Benefit Brochure. 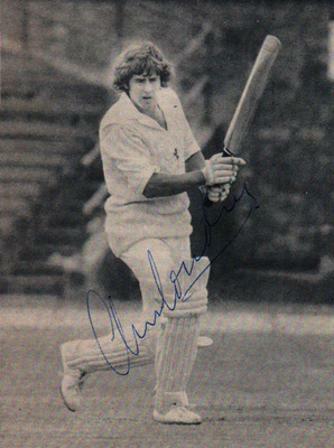 Signed Kent CCC B&W book pic. 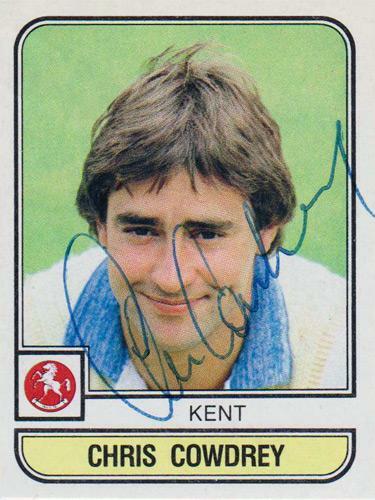 from Tie Rack with Kent and England cricket logos. 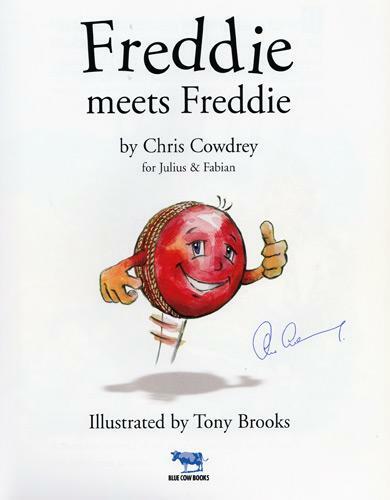 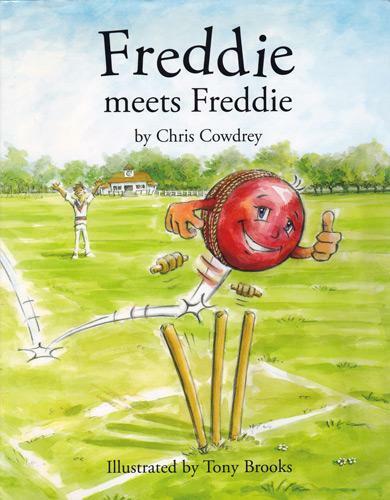 Signed "Freddie meets Freddie" children's cricket book. 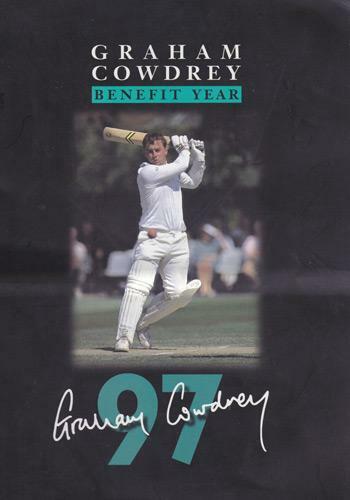 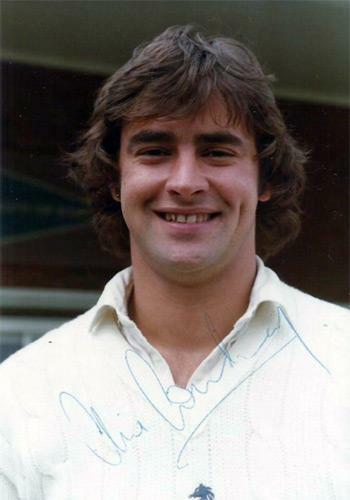 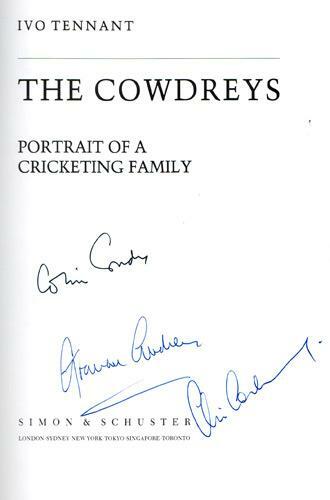 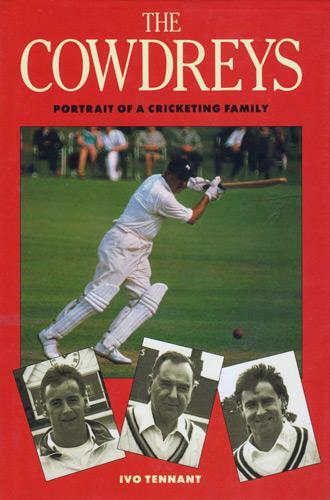 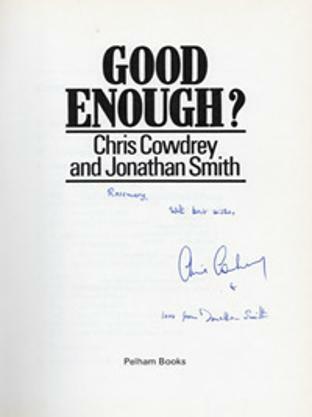 Family signed cricket biography "The Cowdreys"
Autographed by Colin, Chris & Graham Cowdrey. 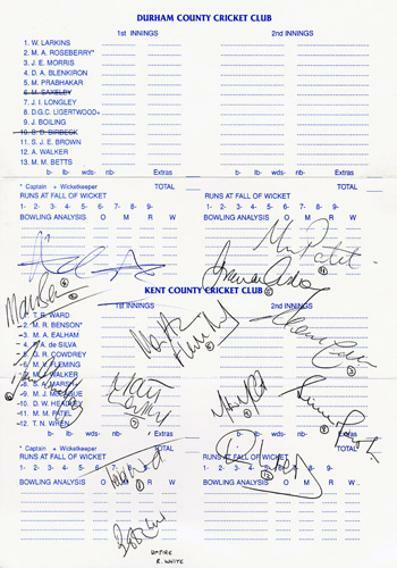 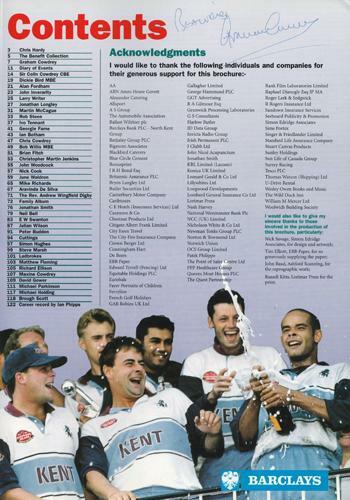 Signed 1997 Kent Cricket Benefit Year Brochure. 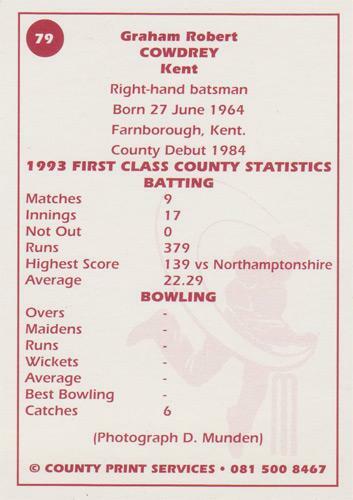 Signed Kent County Print Services player card with bio/career stats.